Tired of changing your wardrobe and planning for all those parties for Halloween, Thanksgiving and Christmas? But wait! Have you already thought of your party dresses and your hairstyle to go with it? Whaaaat! Not yet? It’s too late already ladies! 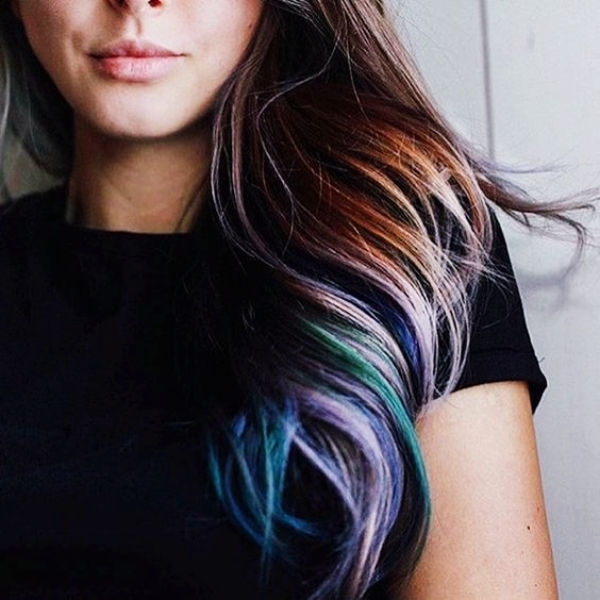 Why not think of flaunting different shades of hair colors this winter? 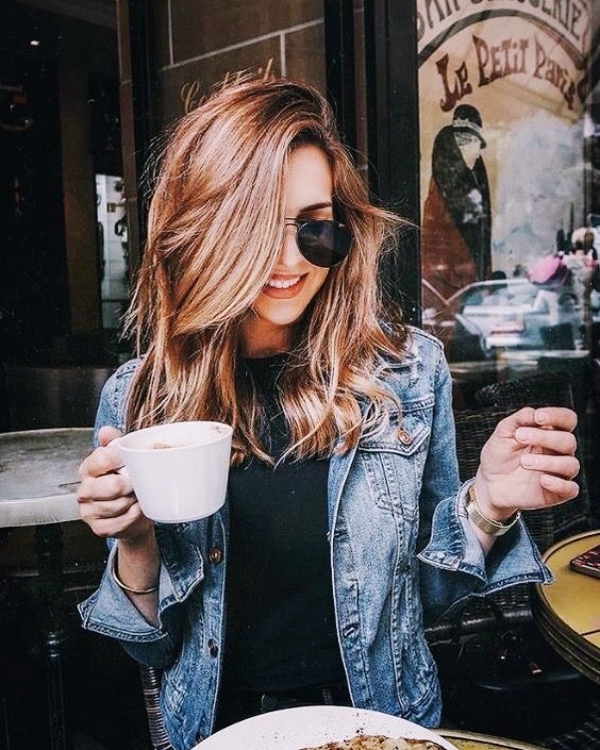 If you are already excited about this whole new change, then we have gathered some real cool and Best Winter Hair Color Ideas that are trending this season. 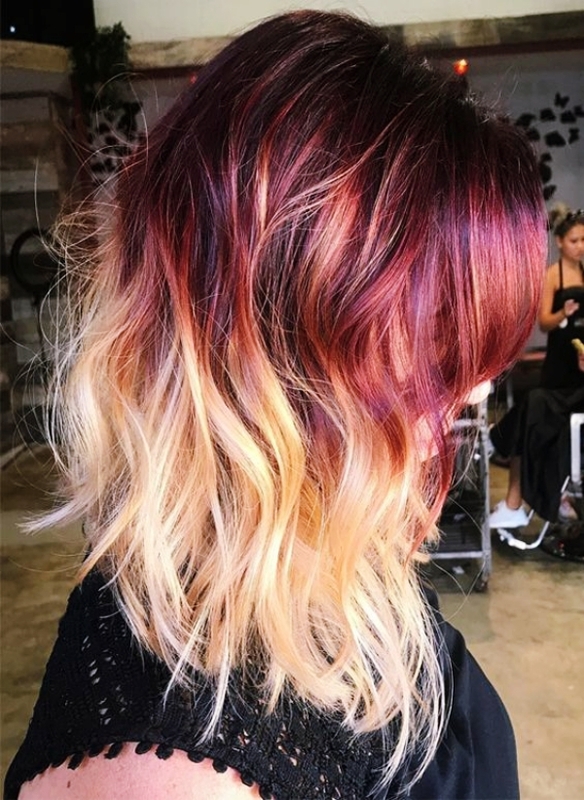 Fall just ended and maybe it is the right time to change the fall hair color ideas you had ’cause these tempting ideas are definitely worth a try. 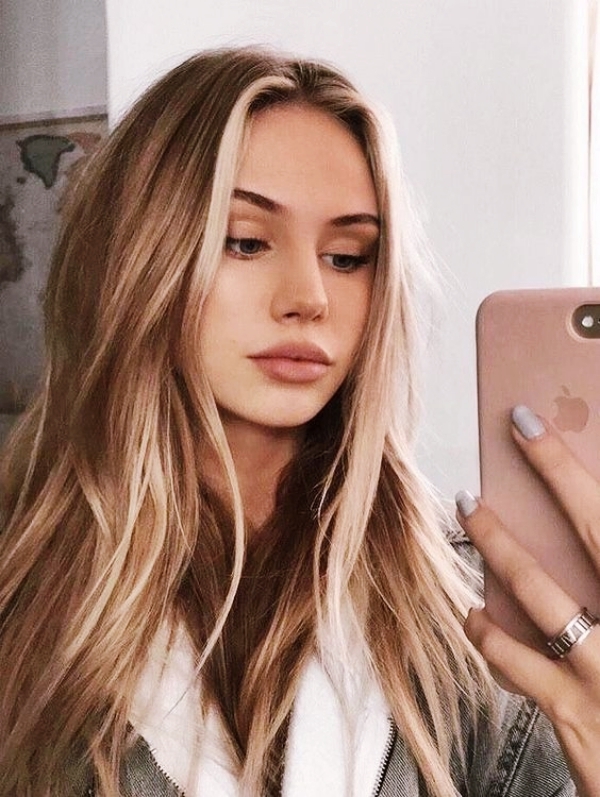 **Pro Tip: While you choose to get your hair colored this winter, you will have to make subtle changes to your makeup too, so it fits in perfectly with your new hair color. 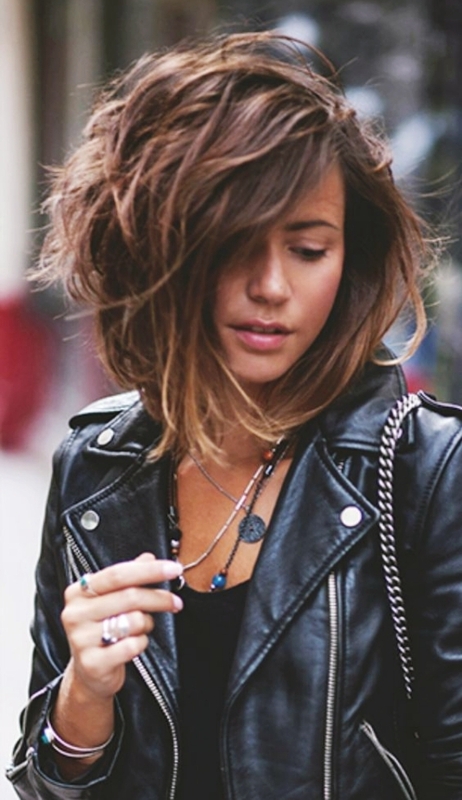 With the onset of winters, let your hair do the talking. 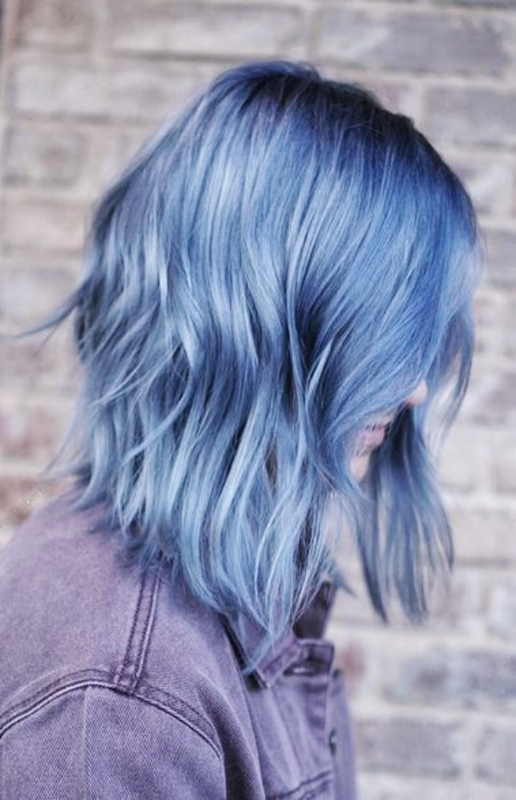 Get some smoky blue color as your hair color. The smoky look will ensure that the color does not look too dark. 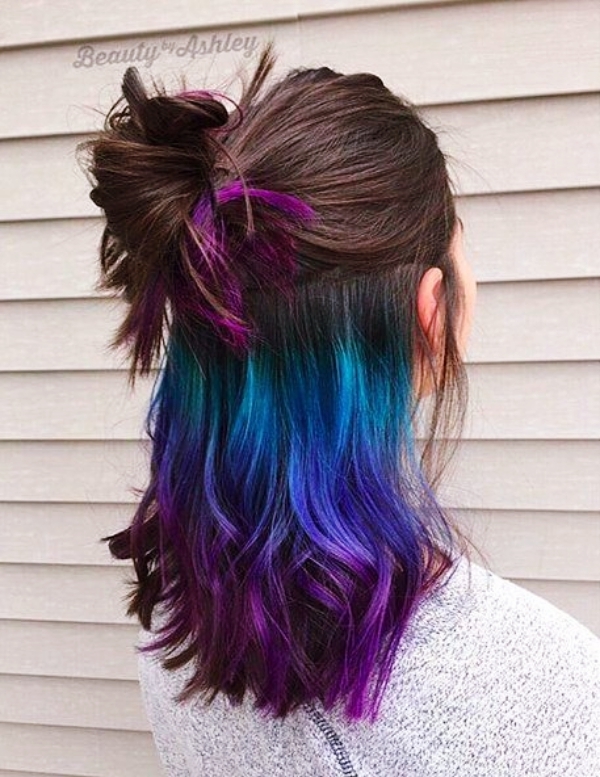 Looking forward to some real experimentation with your hair, then try out this awesome Bold Peacock look. This will bring in all the bright colors of the peacock on your hair and you can let it loose to flaunt it off. 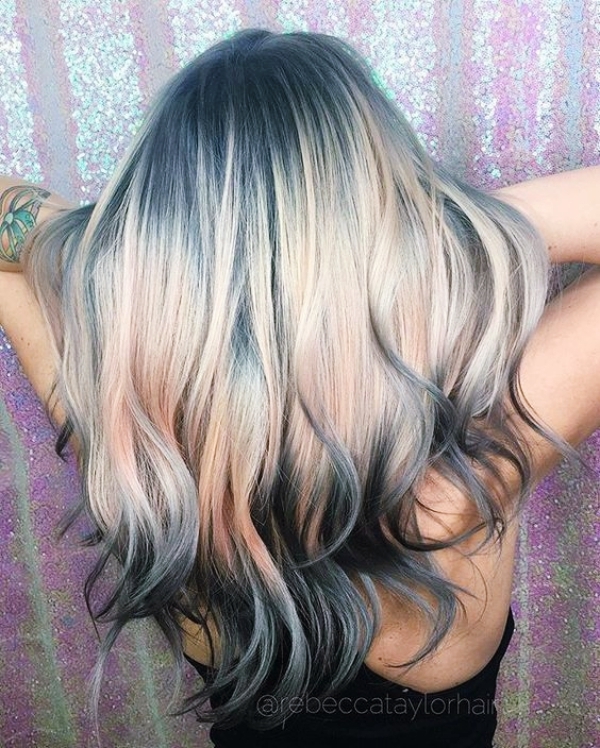 If you want your hair to stand out, go for the metallic shades that are trending this season. 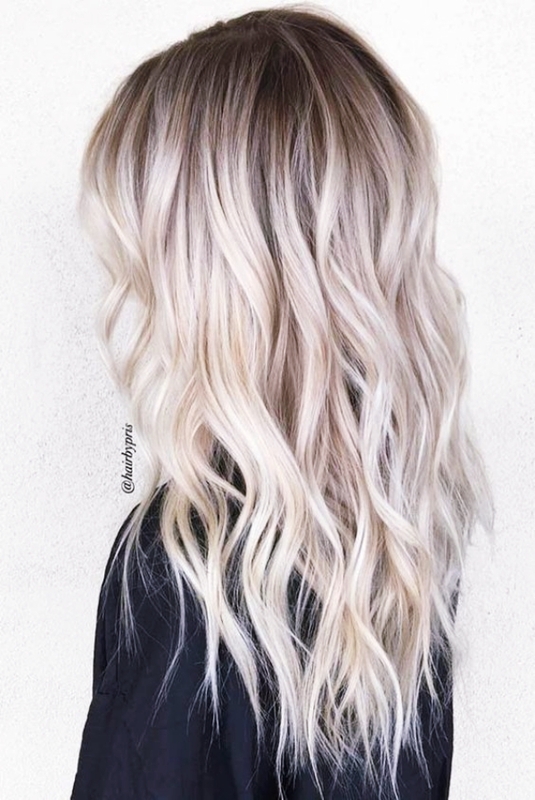 Now, out of all the metallic shades, the white platinum color is the softest color that will ensure simplicity with style on your hair. 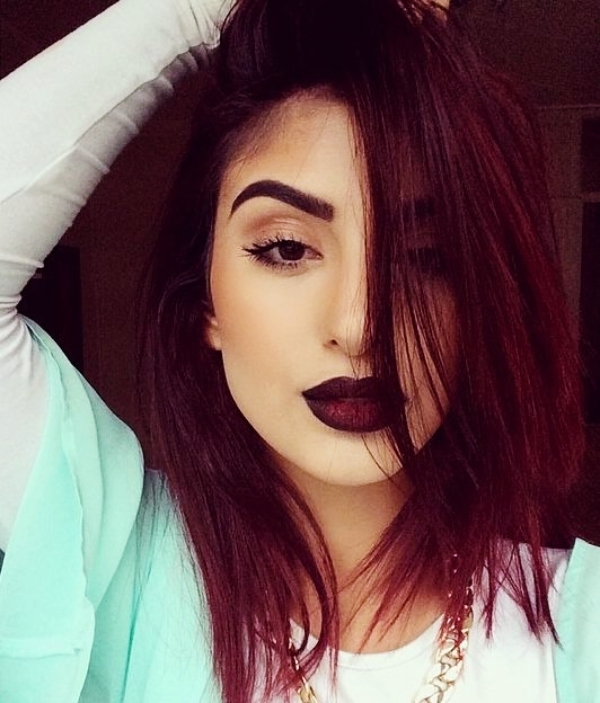 Choose dark brown, but with a winter twist. 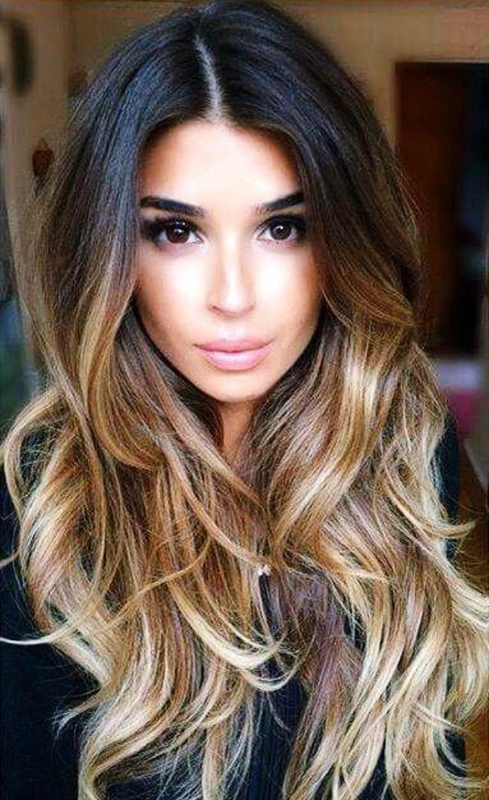 Let the dark brown be the main color of your hair, with subtle light brown highlights. This way, even when you tie your hair, the new color will show! White colors are the latest ‘in’ when it comes to winter color ideas. 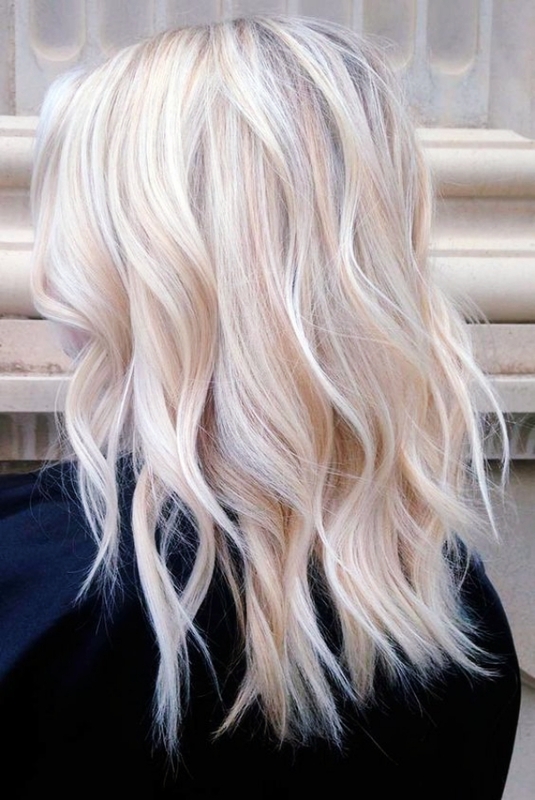 If you are looking at something simple, then opt for this beautiful pearl blonde color that will be a mix of pearl white color with blonde highlights. Looking for some bold colors this season, then there is nothing better than the classic bold red color. 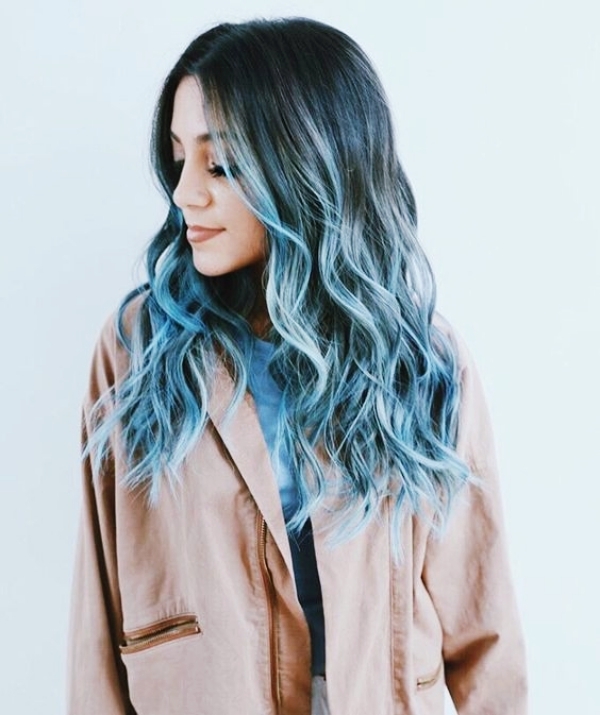 This color may not suit everybody, so be sure to check out the suitability on your skin tone before you settle in for this bold color. 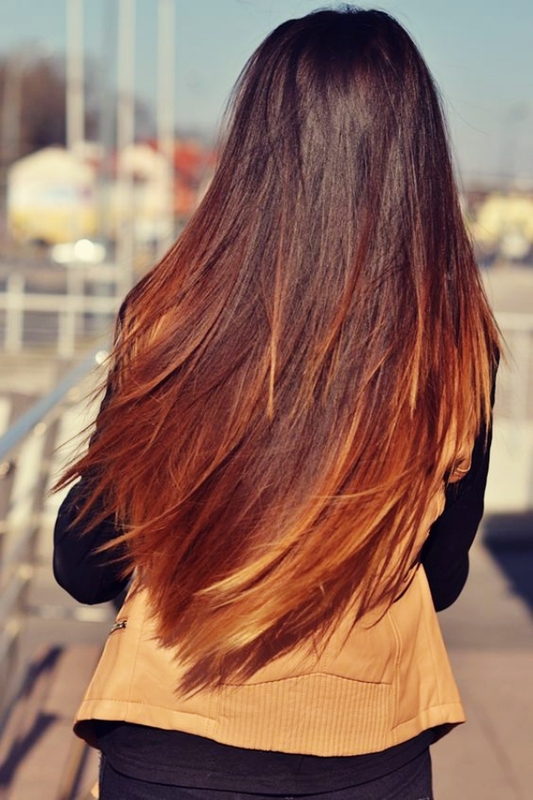 Caramel is not only a yummy flavor, but looks amazingly good on hair too. This has become a very interesting color choice for all those who are confused between a bold and a subtle look. 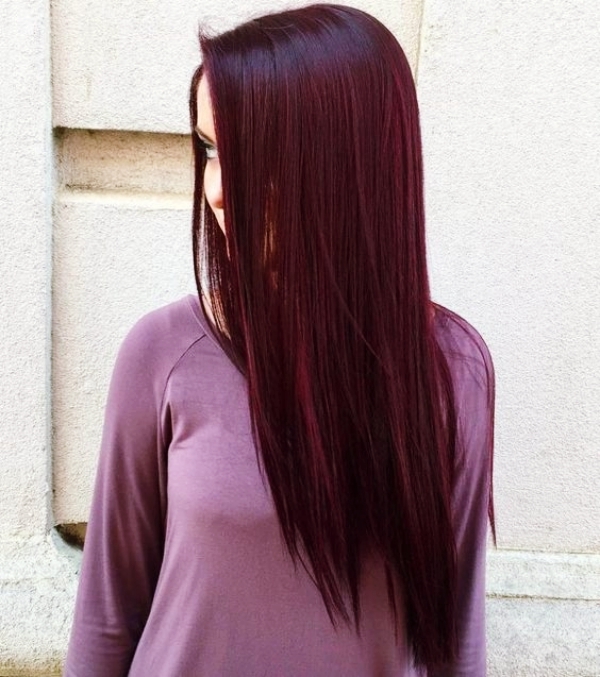 This is a color that lies somewhere between the dark burgundy color and light cherry color. 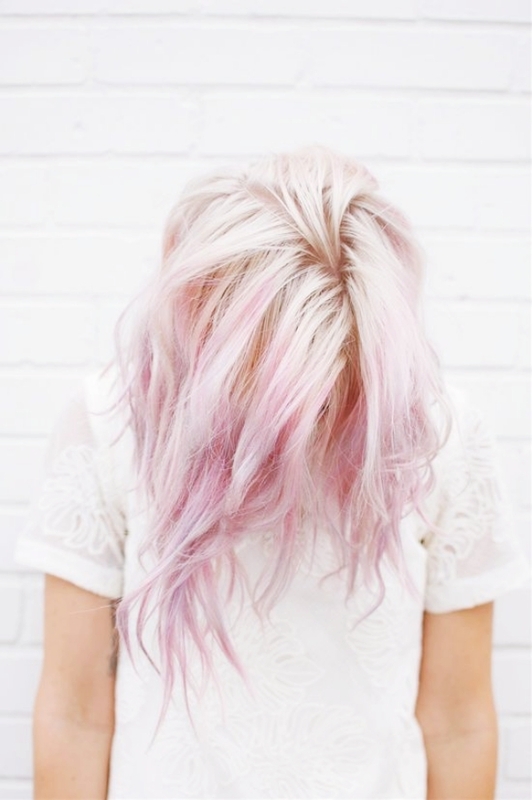 It is becoming quite famous among those people who like a slightly darker shade of the pink and cherry family. Stand out in the crowd by having a color that is a combination of silver and gold as metallic colors. You can choose to have the shiny gold or opt for the subtle shade of silver and gold. Winters are all about dark cardigans and light outfits or vice versa. This is the season that invites lot of contrasting color shades, then why leave behind hair color for that matter of fact? 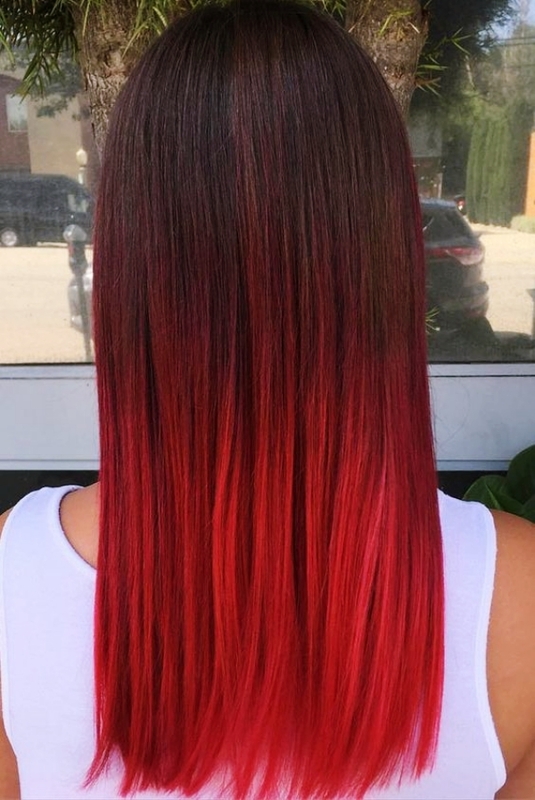 The Burgundy color is the most classic hair color of all times, while mixing it with Ombre will bring in a lighter contrasting shade to your hair. Yes! 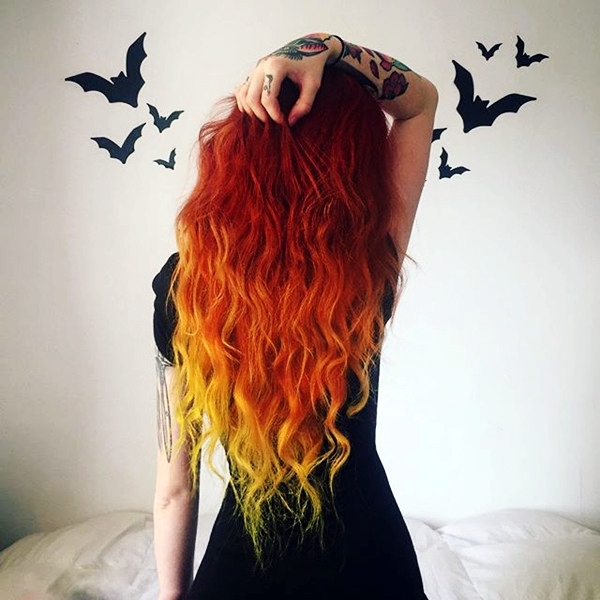 It is time you go bold and experiment with bright colors on your hair. 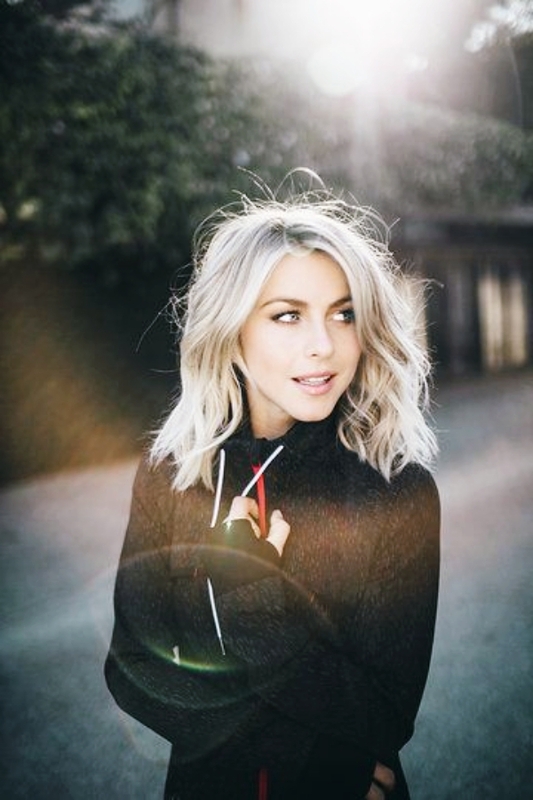 But, when you opt for this hair color, ensure that the mix is in the right shade; otherwise it will look too odd if one color stands out. This color is too sweet to ignore! 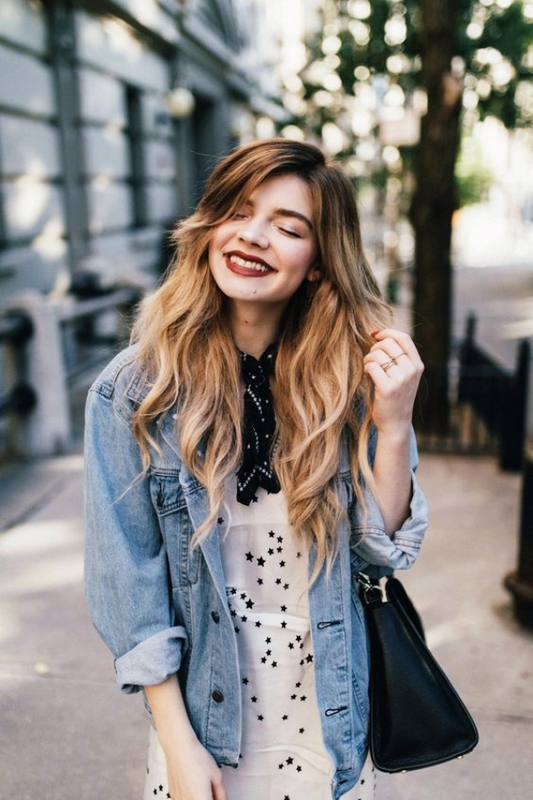 It brings out quite a warm shade to your hair, making all winter outfits suit perfectly to this hair color. 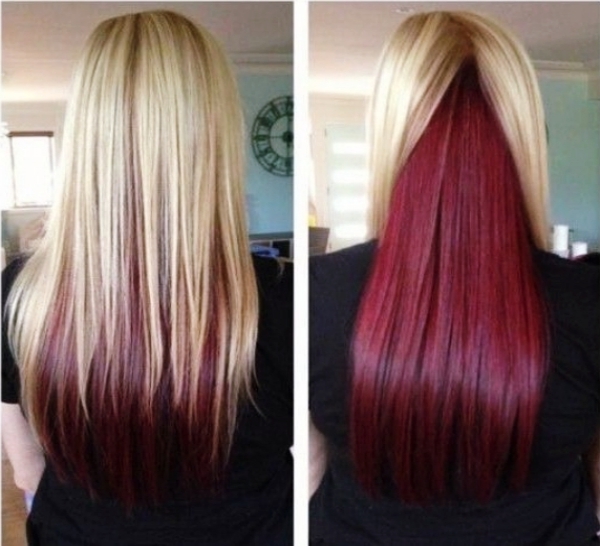 You can experiment with some bold colors at the roots of this shade to enhance the entire look. 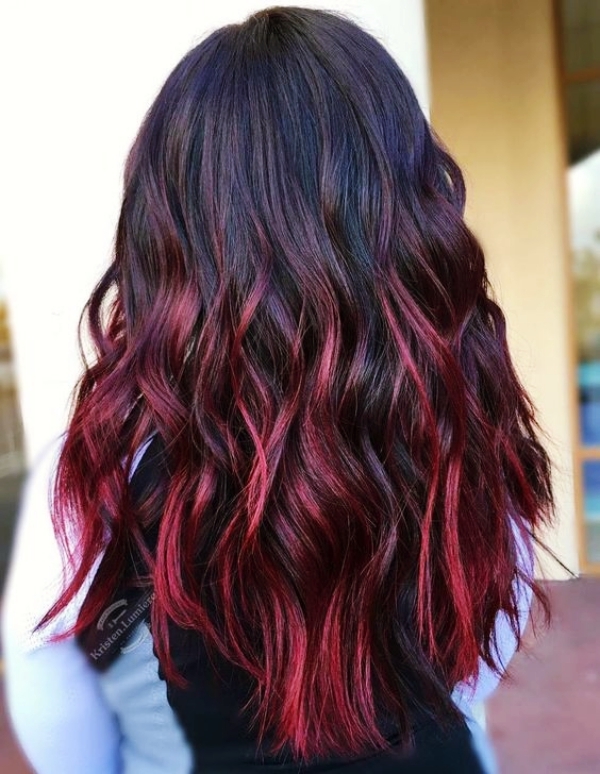 So, book your appointment with your salon today and tell them about this rocking winter hair color ideas.